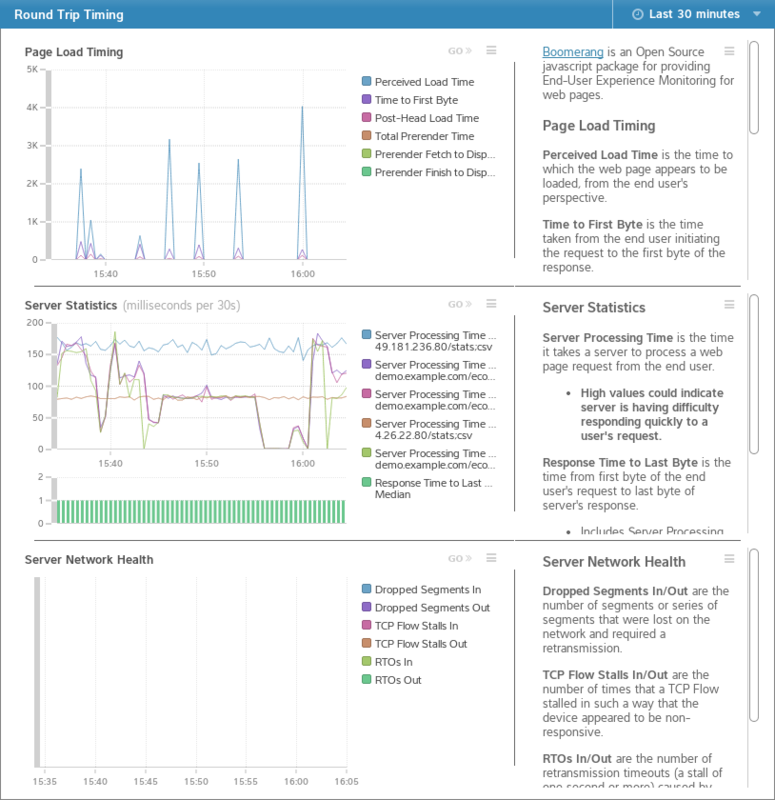 How can I get real-user monitoring for my website and applications to track browser, network, and server performance impacts on users? Problem: A technology services company needed a way to reliably track how users experienced their site on a variety of devices and networks. Desired Outcome: Understand if any users have poor experiences on the site, learn what contributes to user-perceived load times, and visualize the entire flow. Solution: The IT team, already ExtraHop customers, chose to add Boomerang beacons to their website. User Impact: The company had an end-to-end workflow for tracking and reporting on real user experiences with their site. Infrastructure Performance Monitoring (IPM) in Manufacturing solutions. A technology services consulting company provided self-service software solutions on their website to thousands of customers. Outside of their web servers and software design the company had no control over the types of network connections or browsers used by its customers. Much like an ecommerce retailer the company had a variety of customers on every type of device from mobile, tablet and PCs. The company faced three main problems: first, they had no way to differentiate user experience issues from software and web page design to network, delivery or end-user issues. Second, they had no good way to measure incremental changes they made to the site. Third, even though they had some end-user monitoring, they had no good way to widely distribute the data to all of the stakeholders in real-time. A technology services consulting company provided self-service software solutions on their website to thousands of customers. Outside of their web servers and software design the company had no control over the types of network connections or browsers used by its customers. The services company found a free solution to their issue. They were already ExtraHop customers and the development manager for the operations team discovered the ExtraHop integration with the Boomerang beacon mechanism. 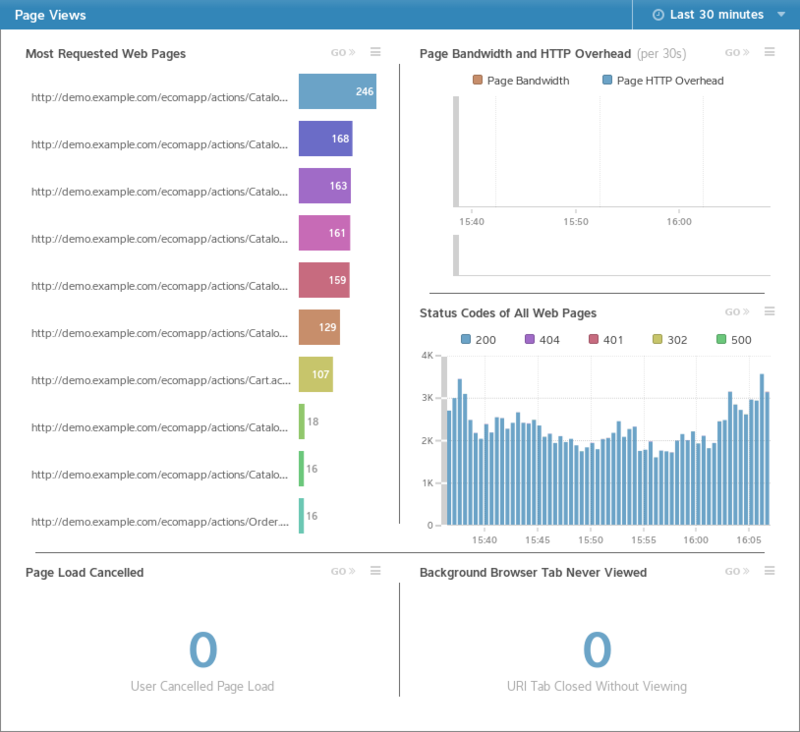 Boomerang, a free and Open Source monitoring tool provides the ability to collect client-side load-time metrics directly from the browser, and send them to a central server for analysis. The company had been looking for these types of real-user monitoring tools but they had been prohibitively expensive or lacking in key features such as visualization. Perceived Load Time: for each request, this measured not just network transit time and server processing time, but also the time it took for the user&apos;s browser to do all the work it needs to do in order to display a web page. 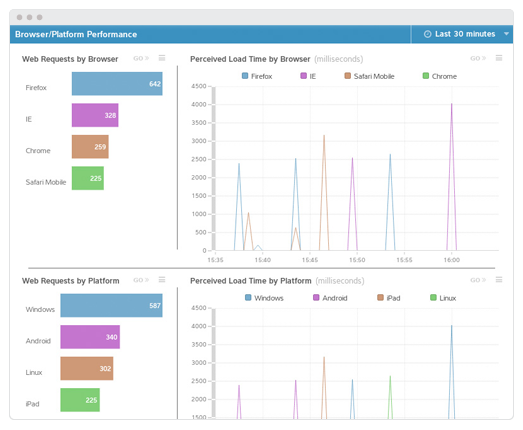 Browser/Platform Performance: this region displayed the total number of web requests the company received, and perceived load time broken down by both browser and platform over a specified time period. W3C Navigation Timing: this view was particularly interesting to the web developers. The W3C Navigation Timing API is implemented in all modern browsers and gave the developers an inside look at each step a browser took to display their web page. These metrics gave the developers insight into exactly which parts of their site needed work to increase website performance. Differentiate user experience issues from software and web page design issues and network issues. Measure the performance and user-experience impacts of incremental changes they made to the website or application. Create accounts for all of the key stakeholders and share all of this data freely within the company, eliminating tens of thousands of dollars in yearly licensing costs for commercial end user monitoring software.